You will be watching the Oscars? The big night is close and there is hardly a soul by now that has not been discussing the nominations and specifically whether Leonardo di Carpio is going to receive the precious golden status. I admit it, I have not managed to watch everything. Among the few movies I did manage to watch was Trumbo and I have a very soft spot both for the movie and Bryan Cranston. I dully enjoyed Bridge of spies, who can resist an old school spy thriller? The Hatefull 8, of course did not go unnoticed, it actually reminded me that yes there is winter and snow somewhere far far away from Athens. But what really won my heart is the Martian which I affectionately nicknamed Matt and his potatoes. There is also a lot of catching up for me to do with the Room being top on my list, followed by The Danish girl. I do hope to catch some of these whilst still in the theatres. Did you know that over here we only do salty pop-corn? Yes, it is true, savoury pop-corn it is and most often than not freshly popped too. To be honest I am very grateful for the fresh buttery, salty goodness. The first time I tried the sweet one, it just felt wrong, so very wrong. This soft and crunchy popped kernels being impregnated with sugar? It was a bit like having salty marshmallows, that big was my shock. Thankfully it settled quickly, I was in the possession of a mixed boxed. Whether you will be watching the Oscars or catching up on films at your own time, I have a little treat for you. 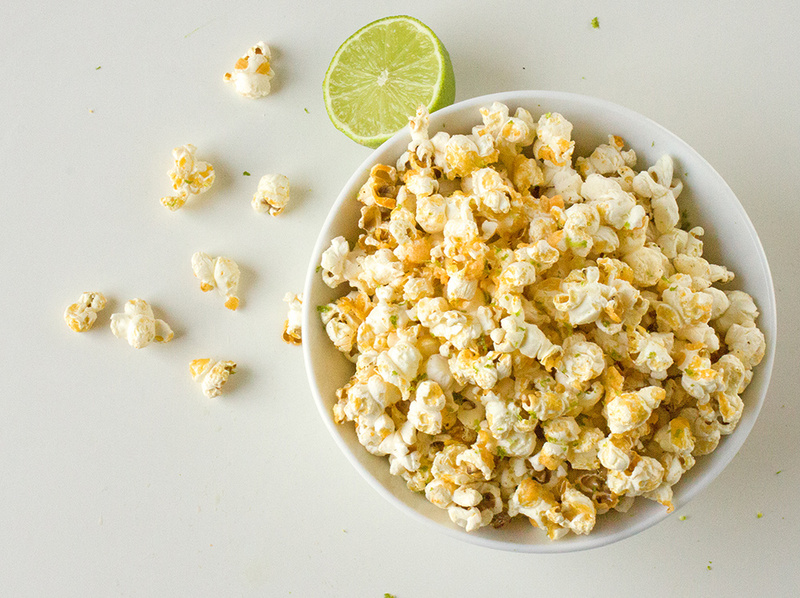 Pop corn with sriracha and lime, taking savoury popcorn to the next level. In a deep pot heat up the olive oil. Add the popcorn kernels in an even layer and cover with lid. Once they start popping, make sure to shake the pot to avoid kernels trapped in the bottom and getting burned. When popping starts to fade remove the pot from the heat and rest for 1 minute before transferring in a large bowl. Meanwhile, juice and grate the lime and whisk together sriracha and the lime juice. 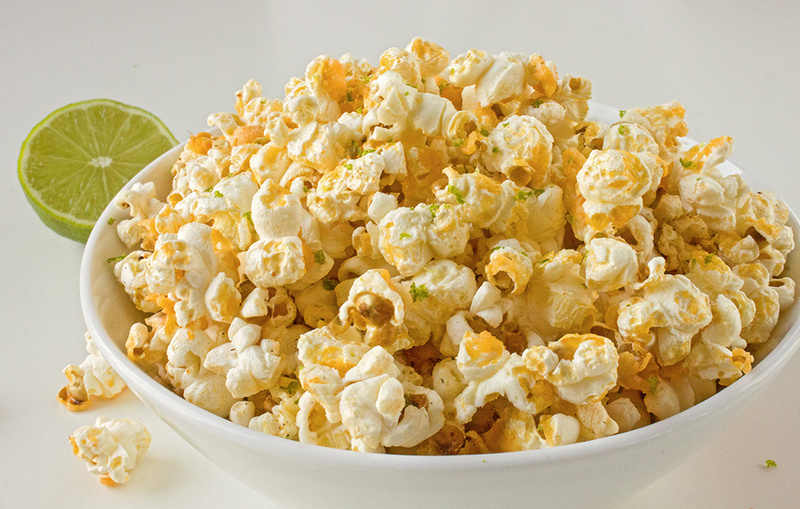 Slowly, pour the sauce over the popcorn and mix so you get even coverage. Add some salt and press play to enjoy the film. Hope you enjoy them, what films have you been watching though? Any suggestions? PS Do not open the pot whilst popcorn is popping, you will be under attack. Passing this on to my brother he loves sriracha. He has a couple of sriarcha he wears. I feel for him! haha, It’s one of the very ‘exotic’ things – for Greek standards- I cannot resist!